Letterman recognizes Letterman Jackets, Varsity Jackets, Letter Jackets, College Jackets and Custom Jackets for those individuals who attempt to challenge the inflexibility and strength of struggle. We are glad to supply your participants with that special honor to commemorate their accomplishments. 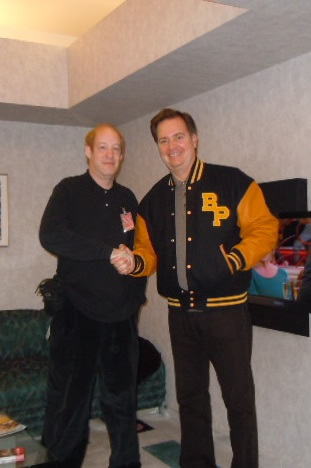 Varsity jackets and letterman jackets are incredibly admired with high school students. Students, sportsmen, Olympic contestant show their sports image by wearing a varsity jacket or letterman jacket. Letterman jackets, varsity jackets, letter jackets and college jackets are accompanying as a fashionable trend in different sports activities. Designs of varsity jackets vary from school to school and individual to individual. Quality letterman jackets are made of wool and leather. A letterman jacket represents the highest academic and athletic achievement. Our Letterman jackets and custom jackets are reasonable and long-lasting. You can assure that when you order a varsity jacket from us, you are getting the finest craftsmanship. Professional associations and corporate organizations buy personalized letterman jackets, varsity jackets, letter jackets, college jackets and custom jackets in bulk as gifts or promotional wear. To celebrate a reunion or similar special event, families will order customized jackets embroidered with names and dates as practical mementos of the occasion. The style and fit of a varsity jacket is relaxed, pleasing and simple to wear for a broad range people, which makes it a perfect alternative for group gifts. Our custom letterman jackets can be customized with chenille letters and custom chenille patches . These Letterman jackets can be made in your schools colors. With over twenty five colors of wools and leathers there are thousands of color combination to choose from. We now have many style to choose from as well. The Classic style ,Hoodie style, Retro, Sport style, Euro Fit, Sailor style,or even the all leather. www.varsityjackets09.com to learn more about our custom Letterman Jackets Letter jackets and chenille patches emblems and embroidery.